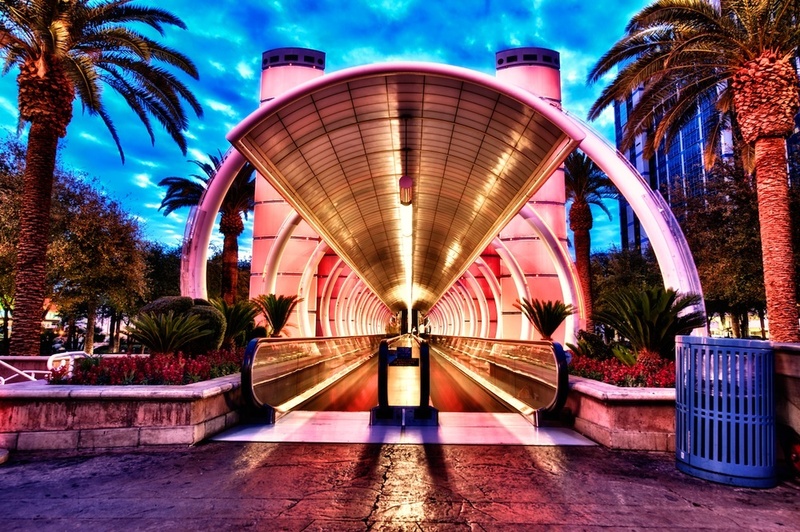 It was early morning blue hour in Las Vegas, and after shooting some at Paris I kept walking up the Strip and the next place you bump into is Bally's. This is their entrance and the moment I saw it, I just knew it was going to need the radical HDR treatment. I was having trouble coming up with a title for this, but I kept thinking that it looked like the entrance to some weird science project in a bad Sci-Fi movie...sorta like a time machine! Then I realized that all the casinos in Las Vegas are like time machines...you enter, only to emerge 3 days later broke and dehydrated! So...there you go!